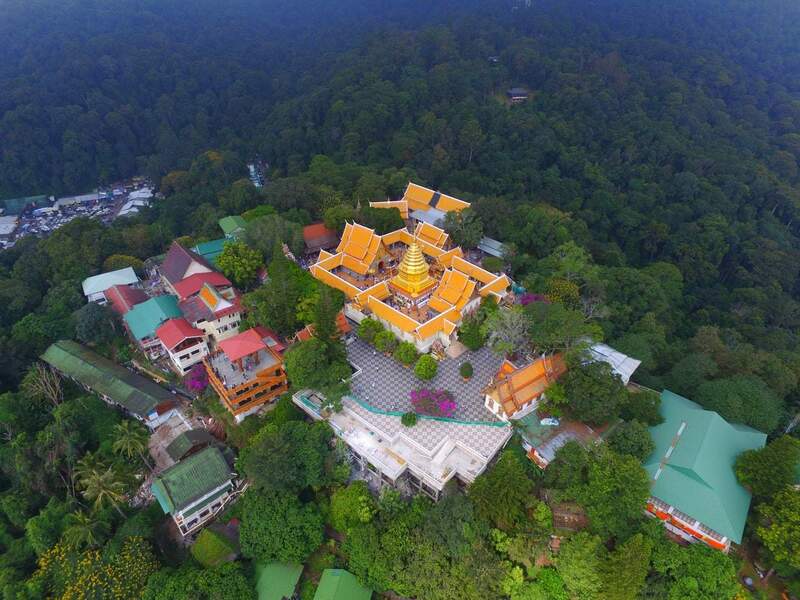 Wat Phra That Doi Suthep is one of the holiest Buddhist Temples in Northern Thailand. 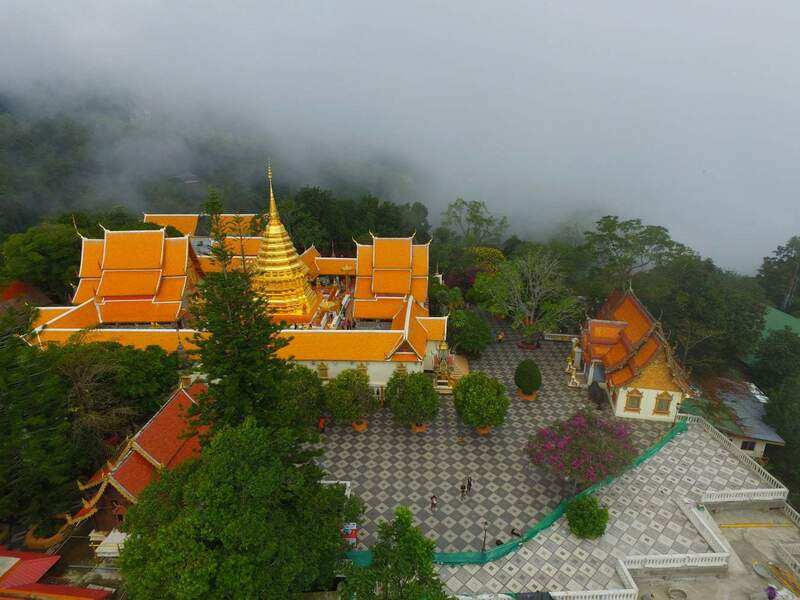 As one of the most popular tourist attractions in Chiang Mai, the temple receives thousands of visitors each year. Visitors are welcome to visit the temple, with Red Trucks (songthaews) making regular trips. 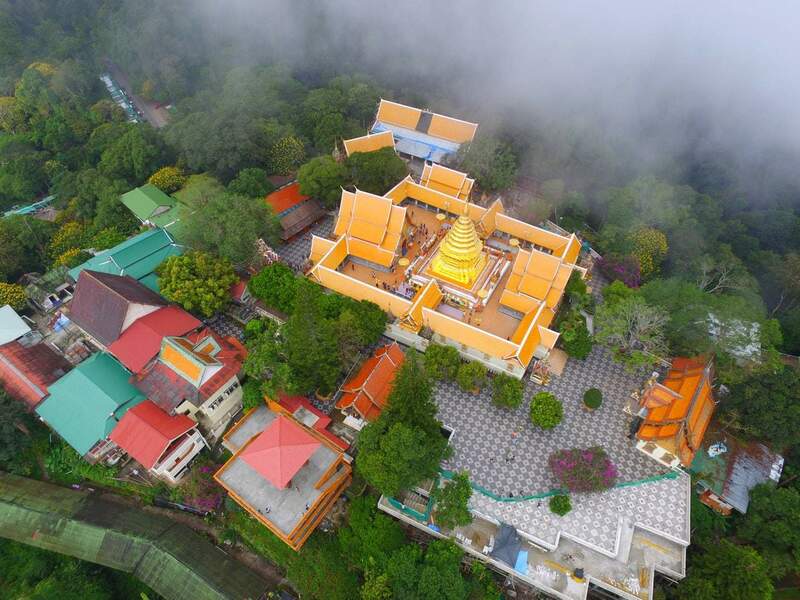 Uber drivers will also take the trip to the top of the mountain which takes only 20 minutes from Chiang Mai. Wat Pra That (a “Wat” is a temple) was built on Doi Suthep (the mountain) in the 14th century and has operated as a Buddhist monastery from this time. Access to the temple is via 300 steps from the carpark. If you would rather avoid the climb, then take the elevator trolley from the carpark (located to the right of the stairs) for around 50 THB (includes admission). Once at the summit, take your time walking around the grounds and admire the view. 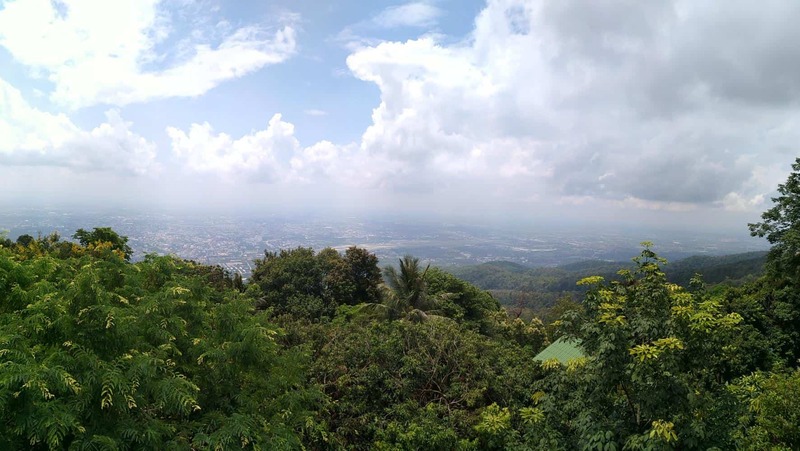 You will be able to see Chiang Mai city with an unobstructed panoramic view and there are a number of levels to explore around the temple. The first floor is home to historical paperwork that traces the origins of the temple as well as the statue of the white elephant that carried the Buddha stupa. The second floor of the temple houses the majestic chedi and is covered by a five-levelled umbrella. The latter was done to celebrate Chiang Mai’s independence from Burmese rule. There is no strict dress code, however as with all places of worship, visitors should dress respectfully while visiting the temple by covering knees, shoulders and midriffs. If travelling to the temple in the early morning or late evening between November – January, it can get a little chilly at the top, so it may be worth bringing a light jacket. A trip to Doi Suthep in a red truck costs around 150THB per person from the Chiang Mai Zoo. Just note that the red truck wont leave until it is full, so you may have to wait for other people to arrive. There are always red trucks waiting to bring visitors back down, so negotiate a similar price and wait for it to fill with other visitors.